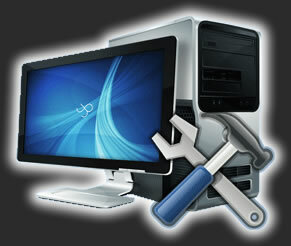 We offer a wide variety of service and repair jobs. No job is too small. For custom quotes, please contact us. Minor instructions, advice and repairs completed in under 5 minutes. Quick, on the spot instructions, modifications & repairs completed in the store with the customer in under 30 minutes. Many computer problems can be fixed quickly on our repair benches and do not require hours of labor. For these issues we offer this basic service. This is our hourly service rate for repairs that must be fixed on our tech benches in the back service center. Support,service,repairs done at your home. Like a car, a computer also needs to be "tuned up" in order to maintain good performance. A PC Tune-Up will remove old files and programs, check for malware/viruses as well as clean the registry which greatly speeds up your computer. Sometimes Viruses and Malware are just to difficult to remove on your own, even with the best software. Let a trained professional do the job quickly and correctly. When a computer has become overrun with a major virus or is simply in need of a factory restore, we recommend this option. We're setup for restores of Windows XP, Vista, 7 and 8. *Files are backed up on your PC, hard drive or media device. Storage devices are available upon request (fees apply).